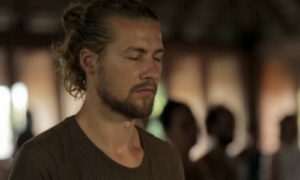 Ingrid Goudsmit held a strong interest in Buddhism and Shamanism as a young girl but it was not until 2002 that she started practicing Zen with Jeroen Witkam, a Zen master and Benedictine monk in Zundert, Holland. In 2004, after pursuing a degree and career in Communications, she decided to travel the world where she ‘by coincidence’ encountered the Agama International Yoga School in Thailand. Following the teachings and practices of Agama both opened her to a new level of spiritual practice as well as helped her recover from heavy physical trauma that her doctors believed she had no chance of recovery from. Ingrid then dedicated many years to in-depth study on yogic philosophy and practice. She has been teaching for Agama since 2006 and consequently yoga has been a large part of her life until now, both in Thailand and India. Ingrid is very grateful to have the ability to give something back through teaching, to introduce and share yoga with others. Over the years she also continued to explore and deepen her Zen practice, studying with various teachers. She feels that the two practices enrich and complement each other in a beautiful way. 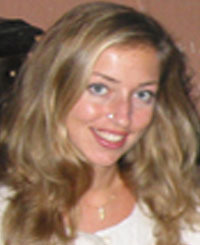 In 2008 Ingrid participated in her first Hridaya retreats with Sahajananda. These retreats felt like a warm homecoming. She experienced a strong deepening in her practice, developing an inspiring connection to Sahajananda. Later that year she was invited to India to study with yoga master Sadhguru Jagi Vasudev, eventually leading her to live at the Isha ashram in Tamil Nadu for a year. While at Isha she participated in many programs and worked as a volunteer. Between her trips to India, Ingrid has returned to Thailand to teach for Agama during several off seasons. The desire to practice more with Sahajananda remained and so when she heard about his upcoming Hridaya teacher training course, she applied immediately and was accepted. Participating in the 2011 HTTC as well as being part of the Hridaya teachers team for the HTTC 2012 in Mexico has been a journey of growth and discovery. She is looking forward to continuing this journey over the coming years.